Earlier, we talked about why there is value in Instagram, specifically in how Instagram functions compared to most Facebook products. Instagram is easy to use, and makes users feel good about themselves, even if it is a relatively false ego boost (because no one is really becoming a better photographer from using the app.) That ego boost and simplicity is something that Facebook needs in its ecosystem, but we have to keep in mind that Instagram is a purely mobile product. There isn’t even a way to look at your photos on a traditional computer unless you have a list of your Instagram links from wherever you’ve shared your photos. This is a big draw for Facebook, because Zuck and crew love silos of information. Facebook may have added a way to export all of your data recently, but that exported data isn’t really the most useful. Facebook still wants to keep you locked in, and doesn’t want you using your Facebook data for anything that doesn’t directly benefit Facebook in some way. Instagram is perfect for this system, because that’s exactly how the app works. Also, it’s no secret that Facebook is big on photos. More than anything else, Facebook’s business is built on photos. The company controls exponentially more photos than all other photo storage services on the web, but as yet, its mobile offering for photo taking and sharing has been built-in to the apps, which is something that Facebook may want to change. As we said last time, Facebook has big mobile plans, and so far the main aim of those mobile plans seems to have been to keep the UI much more simplified and clean compared to the desktop web UI. As we’ve said, Instagram’s filters provide quite a bit more value than one would expect, because that ego boost provided by Instagram is a satisfaction that Facebook could do well to provide more to users. Facebook has grown bloated and big, with a very dense web UI that is hard to parse, but Facebook doesn’t want to have those same issues follow to the mobile experience, and so far it has been pretty successful. There’s a reason why half of Facebook’s 800+ million users are mobile users as well. Facebook has worked very hard to make its mobile UI more streamlined and intuitive than its desktop UI, and Instagram could fit in very well to that scheme. Part of that simplification is in separating out popular features. Facebook has already split off Facebook Messenger into its own mobile app, and having a dedicated camera app would be a big boost as well. And, this is where Instagram comes in. We have to assume that the rumors are true that Facebook will eventually (maybe even this year) release its own branded mobile device. A company as large and as closed-in as Facebook with so many interests in how we communicate with each other and how we share our information cannot stay beholden to other mobile platforms forever. 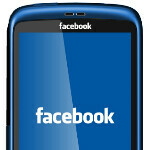 Facebook needs its own integrated mobile solution. The prevailing theory is that Facebook would use the base of Android and create a fork on top of it, but there is also a chance (albeit unlikely) that because of Facebook’s deep ties to Microsoft, we may see that partnership grow and spawn a Facebook/Windows Phone device. However it comes to pass, it seems likely that Facebook will create its own mobile device, and it already has some pretty important building blocks in place. It already has user contacts, it has a growing database of local places/ratings, it has Skype’s help for video chat, it has a messenging system, it has been building more productivity apps, it has tons of your photos, and now it has a dedicated camera app in Instagram. Of course, this is assuming that Facebook doesn't subsume Instagram as it has every other acquisition it has made. Until now, Facebook hasn't made a huge number of acquisitions, at least compared to other giants like Apple or Google, but every acquisition Facebook has made has ceased to exist in its current form, and has been mashed into the Facebook monolith. Luckily, it seems as though that may not be the waiting fate of Instagram. Facebook CEO Mark Zuckerberg made a point to say that Facebook is "committed to building and growing Instagram independently." This would normally be taken as generic PR-BS, but this time it may well be genuine given Facebook's upcoming IPO launch. Investors wouldn't take too well to Zuck if he starts out by misleading them on Facebook's largest (by far) acquisition ever. The first question is how to interpret the meaning of “independent”. We don’t expect it to mean the same sort of thing as when Google says Motorola will stay independent, because Facebook has yet to prove it can be trusted in that way. We take it to mean that while Instagram will remain on various mobile platforms (just as the Facebook app will), Instagram will see closer ties to Facebook, and could be folded into a Facebook mobile device. Unfortunately, independence doesn't mean Instagram won't see some changes. If Facebook does launch its own brand device, Instagram would make for a pretty good stock camera option, but the quote from Zuck makes it seem like Instagram will stay separate and not be folded into Facebook proper. However, even as a separate app, Instagram could still get the Facebook treatment by means of requiring Facebook for a new account and maybe even removing easy sharing options for competitors like Twitter, Tumblr, or Flickr. We would hope that Facebook would keep these options intact on iOS and Android, but it is certainly no guarantee. As much as we’d like to see Instagram stay truly independent and separate, it seems unlikely, because if Facebook is to get full value for its mammoth investment, Instagram needs to be pulled into Facebook to some degree. No doubt, this will mean that permanent storage of your photos will move from Instagram servers to Facebook. And, it could mean some features of Instagram disappearing, or at least taking a backseat to Facebook integration. Still, we would certainly expect Instagram to be a big part of any Facebook branded mobile device, should such a device come to market. And, if we’re really lucky, the developer talent that Facebook has acquired will be instrumental in keeping the Facebook mobile experience clean and simple. We certainly don’t expect them to overrule whatever vision Zuck has for mobile Facebook, but it couldn’t hurt to have a few more voices in the room trying to keep it simple (stupid). Well hopefully they configure the Android and iOS apps to not be so damn resource hungry. Seriously. the Android version is horrible. And the iOS one takes up damn near half a gigabyte. yeah, i couldn't really count that as an actual feature, because the office apps have been something of a lost feature, but i assume FB would finish them up if it does make a branded device. unless of course FB does really partner with Microsoft. i hope they have something like categories for posts on your wall... so that way important things can be prioritized.. that way FB will really finish them up right? I wish Facebook would just crash and burn. Then maybe people can start having real conversations in the real world like they did 10 years ago.